it can definitely make or break, the progress of your child. 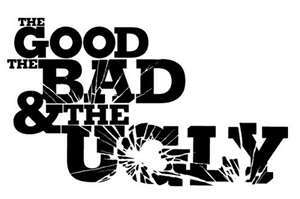 THE UGLY. Where we lived was ideal for schooling, as our neighbourhood school was French Immersion, English and Special Needs. Troy’s brother is 14 months older and seemed very quick to learn, so we decided to enroll him in French Immersion, even though neither myself or his dad speak French. Regarding Troy, we kept him back an additional year, as he is born in late September. As I worked full-time and spent a great deal of time on the road, I would have to find before and after school care. 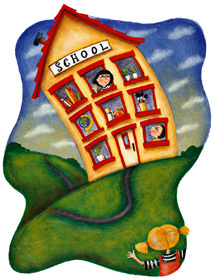 It was also too far a walking distance and across a major intersection; however, both boys would be in the same school. It became clear by Troy’s third year, the school did not really believe in inclusiveness. You could see in the playground, all three groups segregated and very little interaction between the three. I found the teacher of the Special Needs classroom very focused on herself and her own Special Needs children, which tended to be much of her conversations. I also found she spent more time dealing with issues outside her classroom than inside. Though friendly enough, I couldn’t quite figure out what actually happened in the classroom. I did my best to keep involved with the boys’ classes and I entrusted in the professionals and attempted not to intervene. Then a series of events happened and I entered into “Mommy Warrior” mode. 1) I received a message in Troy’s diary that Troy had fallen out of his stroller. I contacted the school the next day and asked where this happened. Apparently, it happened in the classroom and Troy had reached over to touch one of the wheels and caused the whole thing to tip over. This was a heavy-duty stroller with 6 wheels. The stroller had been brought to the school for two reasons a) for the baby-sitter to bring him easily back and forth to the school b) to be utilized when they went for walks. Troy had just learned to walk at 6, so he wasn’t very steady on his feet and could not walk for long periods of time. I asked why Troy was in the stroller and the response was they were concerned about the chairs in the school and felt it was safer he be seat-belted in. Visions of my son in a stroller throughout the school day gathered through my head and I went rangy, to say the least. Had this happened to his older brother, he could have at least told me. NO ONE told me anything, unless I asked. The next day, I took a day off work and picked up the stroller. I informed them, that they need to locate a chair that would not tip, if they were concerned about his safety and to NEVER, EVER strap Troy into anything EVER again. Troy had no behavioural problems and what they did was illegal. To be honest, I had no idea if it was or wasn’t, but in my red-headed heated moment, I couldn’t have cared less, because my next reaction would have been illegal. 2) For the first couple of years, Troy was integrated into a regular classroom for parts of his day. When entering the school one day, I found Troy’s EA outside the regular classroom, sitting with a student at a desk. I knew this student as he lived down the street from me. This was a boy who had behavioural problems, but not Special Needs. I asked the EA what was going on, and she mistakenly answered. The teacher and principal felt that since Troy was so easy-going that a better use of her time, would be spent on the child who was having difficulties. UHMMMM, say what!. Troy didn’t speak and this was Grade 2. Troy didn’t print, didn’t do math, didn’t colour, didn’t sort blocks. NADA, nothing. I called a meeting with the Special Needs teacher and the principal and reminded them, they had forced me into getting a Psychological Report in order for THEM to get funding from the Province to meet Troy’s needs, no one else’s. They had advised me, this was their legal document, to ensure Troy got the best of the education system and that in order to provide the best for Troy, I HAD to succumb to this. I had been very opposed to this, but realized it was the only way Troy could be provided the support he truly needed. Needless to say, once again, once I figured out what was going on, I put an end to it. 3) Troy’s agenda was not being updated on a regular basis for about 2 weeks. I had also noticed a change in Troy’s behaviour. Please remember, Troy is not known to have any behavioural issues and is calm and loves people. I attended the school to pick Troy up one day and asked the teacher if she had noticed anything different about Troy. She had said ‘no’. So I asked why the agenda wasn’t being updated and if anything was different in his class. Her response was “Well since you are asking me the question, I am permitted to answer”. Apparently, a medical fragile child had arrived in the class and no funding was provided for that child. So therefore, under the direction of the principal, the school had pulled EAs to assist with that child. They were also advised not to tell the parents, unless we asked. EXCUSE ME! “What right do you have to do that?”, I asked. The response was we had to do this as she requires a lot of medical attention. I was as livid as I have ever been. I immediately went home, wrote a letter to the school board and hand-delivered it before the close of their day. The last line stated “Any future communication regarding Troy, will come on my lawyer’s letter-head”. The following morning, the principal was waiting at the front doors for me. As she called my name, I told her ‘too little, too late’ and I am not interested in talking with her. Eventually through Board conversations, I had to meet with the Principal. There had been times previously I had tried to be co-operative with her regarding my other son, but this was the last straw. I knew this wasn’t the environment for Troy. There was many other situations, like finding Troy unattended in the library with no EA or teacher in visual vicinity or the time the school insisted Troy be taught PECS in order to communicate. I had training and they had training and we would all work collectively during the year. End result – they never bothered to do any of it and I found out in June, a full school year after we started. This school only went to Grade 6 and when Troy’s older brother was in Grade 5, a decision was made to close the school. That decision was altered to keeping the French Immersion part and the English kids would move on to another school instead. Oh wait! That announcement was made on public record and in the media with no mention of the Special Needs Program. Though never admitted, they had been completely forgotten about. It wasn’t until the second last week of school, we received a letter informing us, our kids were going to move to a completely different school in the opposite direction of the English school.